It is very satisfying when my birding activities can advance science and ecology. 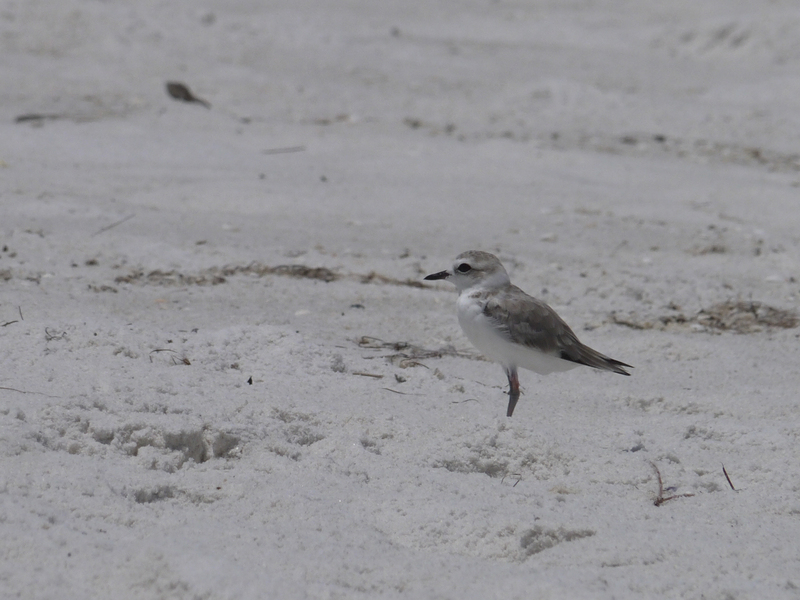 I have bird banded in the past, both at the Prairie Ridge Ecosystem during a wildlife surveys class, and also during a spring break trip to the Dry Tortugas with Dr. Stuart Pimm to band Sooty Terns. Yet, I had never participated in the reciprocal of bird banding: actually spotting the bands and calling them in! This summer has changed that. On a beach near my office I have photographed multiple Snowy Plovers, tiny shorebirds less than seven inches long and weighing barely two ounces. They are Florida-listed threatened species, and part of an ongoing banding effort to understand population dynamics. I have been photographing them for nearly a month, since frankly they are adorable. However, I’m ashamed to say that despite all my pictures I had never looked closely at their little legs. When I uploaded a photo to 10000birds.com, a reader commented on the colorful bands attached to both the right and left leg. The moment I read her comment I literally smacked my forehead; I hadn’t reported the bands, but I would. 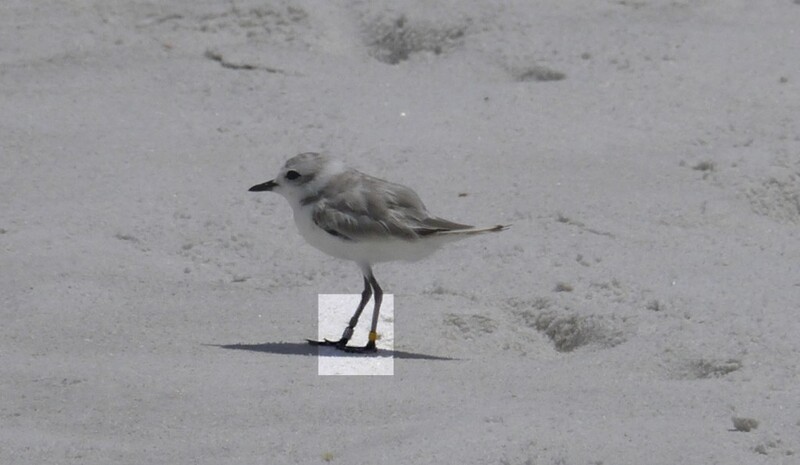 Since that “aha” moment, I have photographed multiple other plovers, each with a colored band combination. Recording the bands is actually very easy. I logged on to https://www.pwrc.usgs.gov/BBL/bblretrv/ , followed their simple step-by-step web pages, inputting species, where I saw the bird, what bands were present, etc. In a few minutes I was done, observations recorded and saved within the database! Though I’ve only recorded a few banded birds, it’s really true that every single one counts. There have been 863,771 banded shorebirds since 1960, but only 15,281 have been “encountered” again, for less than 2 percent. The more birds and the more bands we as birders call in, the more data that will accumulate on our favorite species. The research will be used to support conservation and restoration initiatives, increasing the amount of birds we can see! Yeah, always good to report banded birds when you can! In doing so were you able to learn anything about where your bird had been captured and banded?